The challenge of the book of Leviticus: Israel’s divine mission. This Shabbat features the confluence of the beginning of a new weekly cycle of Torah readings, the book of Vayikra (Leviticus), and Rosh Chodesh (the New Month) of the month of Nisan. 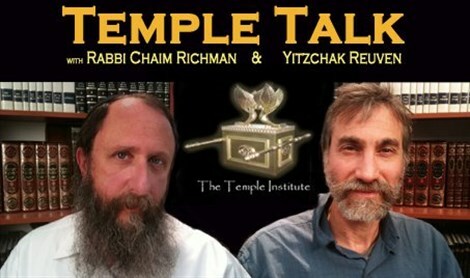 In this week's edition of Temple Talk, Yitzchak Reuven and Rabbi Chaim Richman explore the world of Leviticus and the enigmatic, misunderstood concept of the korbonot (the Temple Offerings), shedding much-needed light on what is considered to be the very heart of the Torah. Our hosts give a warm welcome to the month of Nisan, month of redemption and rebirth! Don't miss this fascinating episode of Temple Talk.